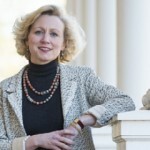 SPARTANBURG, S.C. – Converse College President Betsy Fleming announced Tuesday, September 8, 2015 that the 2015-2016 academic year will be her eleventh, and final, year serving as the College’s ninth president. Fleming shared the news with faculty, staff and students in campus-wide meetings, with a focus on celebrating the accomplishments Converse community members have made together over the past decade and on tackling the exciting work that lies ahead in this academic year. And, establishing the Converse International School to support new partnerships with universities around the world, with first-year enrollment of 58 Chinese students who will arrive on campus in fall 2017. These efforts have resulted in expanded visibility for Converse on both regional and national fronts, and over the last decade a 20% increase in net assets and 30% growth in the traditional undergraduate student population. This fall, Converse celebrated its largest undergraduate enrollment in at least 25 years. Converse has prioritized student and faculty achievement, as evidenced by Fulbright assistantships, Goldwater Scholarship and Elie Weisel finalists, a John Jay Institute Fellow, and Presidential Management Fellows. Three Converse faculty members have been named S.C. 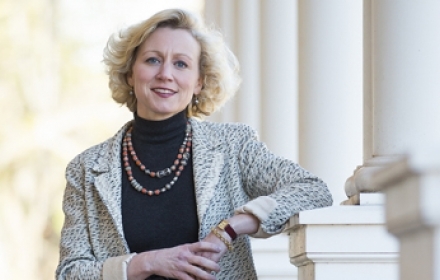 Professor of the Year by the Carnegie Foundation for the Advancement of Teaching. The College has also received consistent recognition on the President’s Higher Education Community Service Honor Roll and in top national rankings such as that by Washington Monthly for advancing student research, service and social mobility. New strategic initiatives that further advance student development and success are being implemented this year in order to maximize outcomes and support expansion. Ben Wall, Chair of the Converse Board of Trustees, announced that a search committee for the College’s tenth president will be led by Spartanburg business leader and Converse Trustee Emeritus, Bill Barnet. The identification of a search firm, search committee members and a timeline will be finalized in the coming weeks. For more information regarding this press release from Converse College, please click here. More news and events for Converse College may be viewed here.